Fancy a peek inside our July WITCHCRAFT box? Happy Saturday everyone! With the chilly nights closing in, we’re gearing up for an autumn of reading under blankets, supping hot chocolates and donning our fluffy socks. We’re also on serious countdown mode… our second anniversary is on the horizon (can you believe Book Box Club turns two in September?!) and we have an extra special birthday box to celebrate. 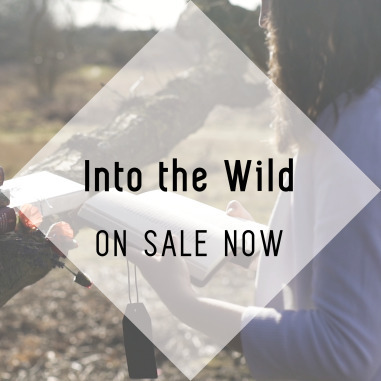 You’ll find a quick recap of everything we’ve told you about our INTO THE WILD themed box at the bottom of this blog. We now have just a handful of boxes left, so if you’re thinking of joining our club this September head over to our subscriptions page now to bag yours. We wouldn’t want you to miss out on the birthday fun! Whilst we eagerly await our birthday celebrations, we thought we’d share with you the contents of our July WITCHCRAFT box. Witchcraft has to be the perfect theme for us because we are obsessed with anything mystical (and massive fans of Hocus Pocus!). As always, we’d like to say a big thank you to all of the magical talented people who helped us to make this box great! Thank you to @just_keep_chasing_pages for this gorgeous unboxing photo! 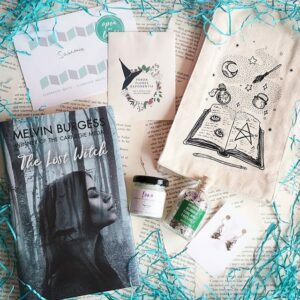 The Lost Witch by Melvin Burgess: Not all witches choose a life of magic! In our gripping July read an impending war and a vicious witch hunt will whisk Bea away from summer at the skate park and cast her into a dark, dangerous world of hocus pocus. As her powers grow stronger and her enemies close in, she is forced to question: if you can’t rely on your own instincts, who can you trust? Clubhouse Invite: This month, our online Clubhouse turns book group coven as we welcome Melvin Burgess to chat all things witchcraft. Join us and our other magical members for an unashamedly bookish chat about our July read. Chocolate Frog by Cadburys: Introducing the original chocolate frog! Tuck into a Cadbury’s Freddo because every witch loves a chocolate frog! Bookish Goodies: Further bookish inspiration with thanks to our friends at Bloomsbury. Penguin Random House, Scholastic and Andersen Press. Thank you to @booknerd90, @zhreads, @getmealibrary, @lydlovelit and @a_bookishworld for these lovely photos! We’d also like to say a big thanks to all of our magical July members for your lovely comments, your enthusiasm, and for sharing your photos, blogs, vlogs and feedback with us. We feel so lucky to have you in our bookish gang! 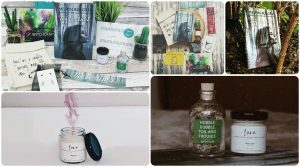 If you missed out on our July Witchcraft box then don’t worry! September Into the Wild boxes are on sale now (but there are just a handful left)!